Huge commercial opportunity! Located in the heart of La Pine and inside the Urban Renewal Zone. Great for hotel, movie theatre, apartments, or retail space. Come bring your ideas and business plans. This is a great idea location with tons of opportunity. 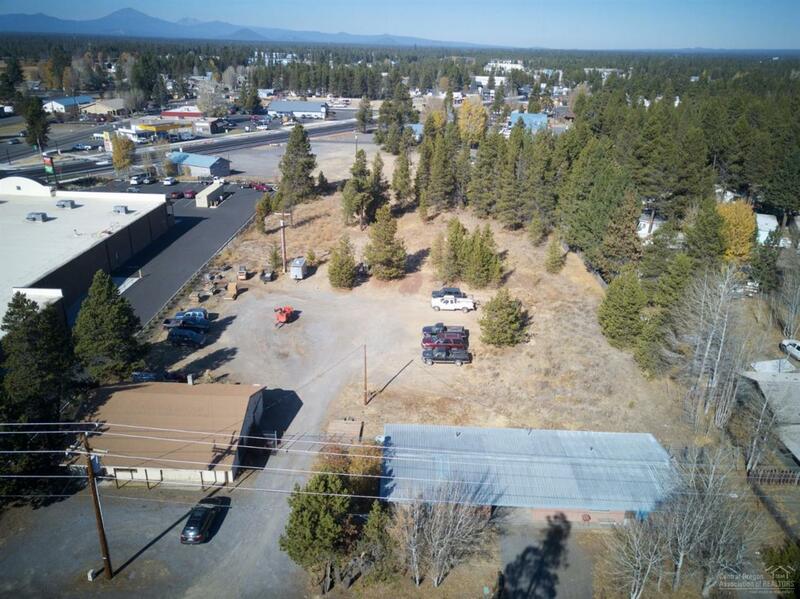 this property consist of a shop with an office, a duplex and a large acreage lot currently undeveloped. Rental information supplied upon request. This property consists of 2 tax lots.